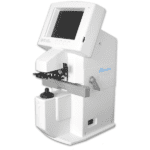 Santinelli LE-9000SX Lens Edger - Vision Equipment Inc. 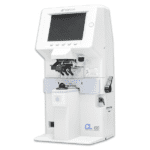 The Santinelli LE9000SX Patternless Lens Edger manufactured by Nidek features 3D tracing and edging on all materials. Precise bevel control, Polishing function Integrated tracer, groover, and safety bevel. Systems included Lifetime phone technical support, Free installation and, In-office training included. The LE9000SX is a significant upgrade to its predecessor, LE7070. 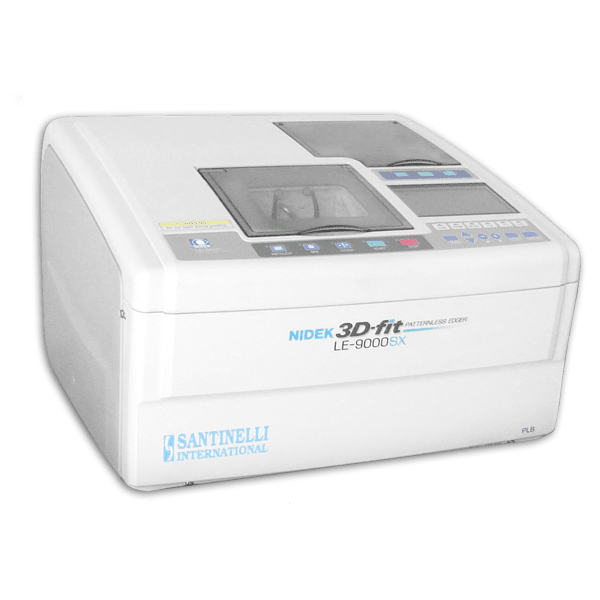 The Santinelli LE-9000SX Patternless Lens Edger manufactured by Nidek features 3D tracing and edging on all materials. Precise bevel control, Polishing function Integrated tracer, groover, and safety bevel. Systems included Lifetime phone technical support, Free installation and, In-office training included. The LE-9000SX is a significant upgrade to its predecessor, LE7070. Lens Size: 90 mm max. • Flat Edging: 18mm min. • Recirculating tank and pump or Direct Water hookup.